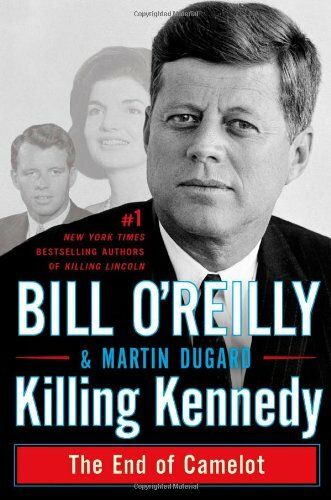 Review of the book, Killing Kennedy, by Bill O'Rielly, and what it felt like to live through the days after the assassination, and the state funeral. 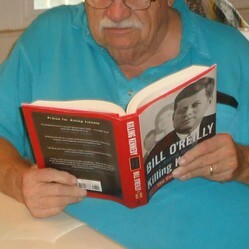 If you're like me, when you open up a copy of Killing Kennedy, by Bill O'Reilly, you won't just read it. You'll devour it. It's about something that hit us all in the gut. When I began reading this book, I wasn't sure what to expect. After all, I had lived through the times, and paid attention to them. I was young at the time, but not too young to know what was going on in the world. I'd known about the Bay of Pigs and the naval blockade of Cuba. I couldn't help but know about the blockade. In school, we discussed current events, and debated them on the debate team. But what really made the blockade real was the day our war ships loomed like mountains in the morning fog at the end of our own street. They were making their way out to sea, and south to their destination. You see, the Navy base was just minutes away, and our home stood a short walk to the edge of the Atlantic. So, things got very real, very quickly. From then on, a lot of kids my age paid an unusual amount of attention to what was going on in the nation's capitol, and the man who was in charge. He was generally quite popular with teenagers. He was young, handsome, athletic, articulate, and engaging. His beautiful wife was the envy of every wanna be fashionista, and the kids were story-book adorable What wasn't to like? And then, suddenly, one terrible day in Dallas . . .
On January 20, 1961, John Fitzgerald Kennedy assumed the office of President of the United States of America. It was during his Inaugural Address that he spoke the famous words, "Ask not what your country can do for you; ask what you can do for your country." What many have come to think of as America's Camelot Presidency was about to begin. Whether you remember exactly where you were when the unthinkable happened, or whether you weren't even born yet, this is a book you should read. Yes, it's a history book, but it's far from dull. If you're looking for clarification or validation for one of the conspiracy theories that's still around after all these years, you won't find it. What you will find is a historical account of the 'Camelot' years that doesn't particularly read like history. You won't find a lot of white washing, either. There are details of the activities of the Kennedy clan that weren't reported at the time. (They would have ruined the image.) But, it's not a flame job either. It just is. You'll be reminded of things you'd forgotten or, if you're young enough, learn things you never knew. As any good history should, it puts the event into the context of the times by thrusting you into the world that led up to that awful day. Those times were America's age of Camelot. The shots fired in Dallas on November 22, 1963, took Jackie Kennedy's husband away from her, Caroline and John-John's daddy away, and smashed Camelot to pieces for an entire country. It's history that will hold your interest, about times and an event that we NEED to remember. Get it the way you want it - it's available in hardcover, Kindle edition or on Audio. But just get it. Read it. Then pass it on to a friend. At 12:30 pm (Texas time) on November 22, 1963, shots rang out, a President died, and and entire nation just stopped. The country felt like it was in a strange sort of paralysis. Schools dismissed, businesses paused or closed, and people wept in public. Three days later every soul who wasn't urgently needed elsewhere was in front of a television set, watching the state funeral. I watched along with everyone else. It was an unbelievably sad event, that funeral. For me, perhaps the most gut wrenching part was seeing the President's casket on a caisson, with a horse following along behind. The horse, black and riderless, with empty boots in the stirrups, turned backwards, symbolic of a fallen leader, tore at my guts. represented something even more than a fallen leader. I cried. My parents cried. A nation cried. The words may not have been said yet, but deep inside we all knew we were living the in the death of an era. Our Camelot had been shattered. We didn't know what would come next, but we sure knew a light had been extinguished. I haven't read Killing Lincoln yet, but those who have read both say it's better than Killing Kennedy. I'll be ordering it soon. But, I'm glad to have read what some have judged to be the 'lesser' of the two first. That way, I've saved the best for last. While both of these books are written for adults, O'Reilly has gone to the trouble to write a version of each of them for kids. They're called Lincoln's Last Days and Kennedy's Last Days. They've both gotten good reviews from kids, parents, and teachers. By all accounts you kids will not only like them, but gain a greater appreciation of history from them. Have You Read Killing Lincoln or Killing Kennedy? Do You Remember Where You Were When It Happened? Or Are You Too Young? CruiseReady, Did you finish reading Killing Lincoln? 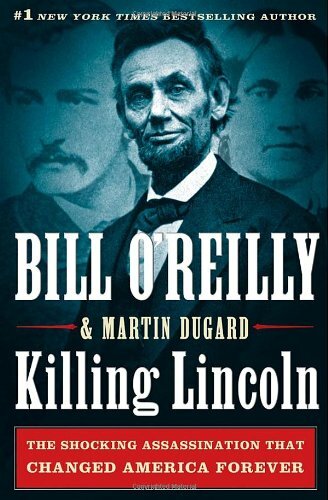 Bill O'Reilly has a series that begins with Killing ... England, Jesus, Kennedy, Lincoln, Patton, Reagan and the Rising Sun! It was, indeed. Those of us who lived through it may not ever be able to adequately communicate to the younger generations quite what it was like, and what a sea change Kennedy's assassination brought about. It was one of those things that you'll never forget where you were when it happened. You were younger than I was. At that age, were you aware of just how historic an event it was? I was just ready for my parents to take me to a winter fair when the news came through. I was thirteen. Yep. I was home sick, and was bedded down on the sofa, watching TV... saw it happen. Geeze what an awful moment to witness. I was in Miss Green's history class...like it was yesterday. The Big Rich chronicles the real life struggles, exploits, scandals, successes and failures of the first Texas oil millionaires. Their lives were truly wild rides!